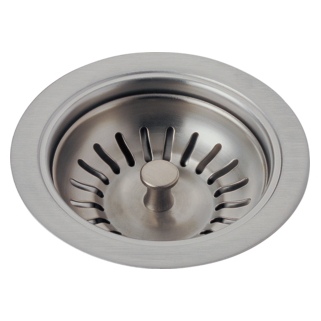 2256-SS-DST is rated 3.1 out of 5 by 21. Rated 5 out of 5 by Raquel from LOVE IT, LOVE IT, LOVE IT!!! I had this faucet installed in the bar sink and it look amazing! Rated 5 out of 5 by Zelda56 from Love them We built a new home in 2004 with these faucets. I love them. They don't rust or corrode. My sprayer is metal so it must have changed over the years. We have had these for 14 years with no major problems. When there is a problem Delta fixes it. The finish is beautiful. 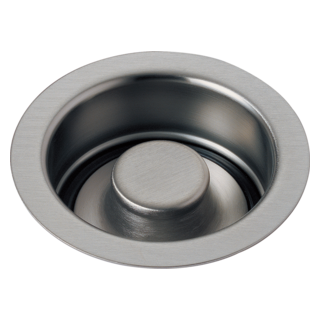 I love the flush mount that doesn't require a metal surround. We did get the kitchen faucet upper replaced. I hung a wet dishrag on it and it ruined the finish. Delta sent me a new one , no questions asked. Now I just hang the rage over the sink divider. I especially love the warranty. I can't understand everyone being upset that they eventually leak. We have hard water and even the water softener can't get all the minerals out. Our faucets leak. Delta ships out the new parts free! DH puts them in. NOT HARD! I can't imagine expecting to not have leaking faucets. They do olast longer if you don't slam them off. Be gentle. As I said. 14 years and still in style and work great. 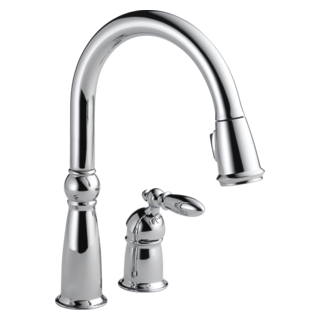 Rated 5 out of 5 by J Johnson from Beautiful Kitchen Faucet and fantastic warranty I have had this faucet for 10 years. Still looks great and when the sprayer and spout did not live up to my expectation it was easily replaced by calling the friendly customer service reps. A bit more up front but you get a lifetime warranty. 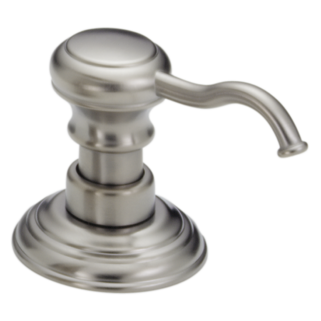 Rated 4 out of 5 by KyleA from Be gentle with it This is a beautiful faucet, it's heavy and looks well constructed, but don't try yanking on the handles or spout. 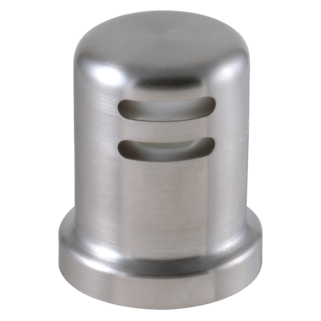 The valves don't require hard cranking to shut off, gently push them until they stop, they close easily and tightly. Haven't had any issues with leaks. Docking a star because the sprayer is made of plastic. For the price I expected better. The spout wiggles slightly in the vertical direction but no big deal there. 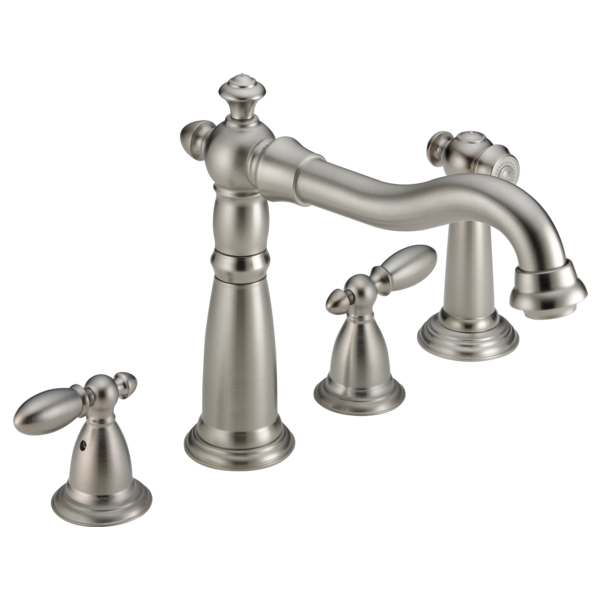 Rated 1 out of 5 by LongIslandAtHeart from Hot water leaking I love the look of this faucet and selected the same faucet for both my kitchen and bath since I have a 165 year old Victorian home. But now I cannot turn off the hot water all the way so it just drips, well really runs continuously. I paid top dollar for this faucet expecting it to last. Not sure if it can be fixed but too expensive to replace or call a plumber to find out!!! Rated 5 out of 5 by Sharmel from Much improvement from our old one. Great Design! We Love It!! Mel and Sharon Stylish and the faucet stands out in our new kitchen! Rated 3 out of 5 by Brian14 from Faucet broke not long after having it installed We purchased this faucet when doing a kitchen renovation 11 years ago. A few years in we began having problems with the handles. Slowly over time they needed to be pushed further and further back to shut them off until finally they couldn't be shut off with the handles. My husband tried to readjust them with no luck. We called and were sent replacement parts but the issue occurred over time again. I now have a wrench on my sink to turn the faucet on and off. Very frustrating (not to mention how horrible it now looks with no handles and a wrench sitting on my counter). I feel the same as someone else who commented here to say they feel they need the same faucet because of the cut outs in their granite. Unfortunately, it is now cost prohibitive. I am so disappointed. Is there a matching soap dispensor? Thank you for your question. 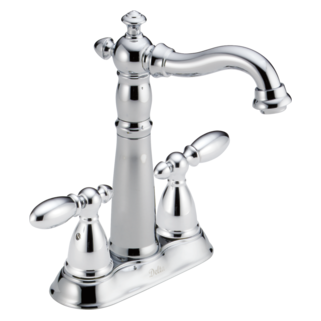 Delta Faucet model # 2256-SS-DST does have a matching soap dispenser. It is model # RP37039SS. 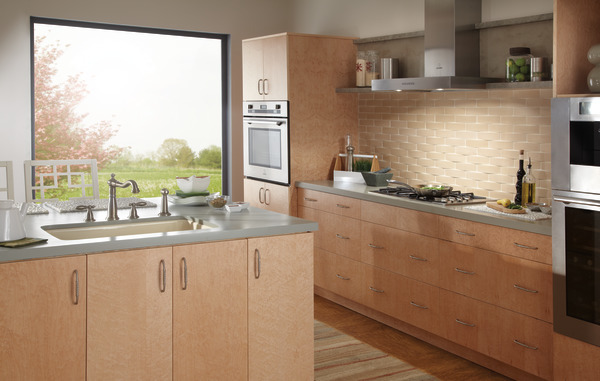 what is the model number of a matching beverage faucet. Where can I get a cartridge to fix this leaking faucet? Hello - want to confirm this faucet will swivel for a double bowl sink . What is the part that the valve assembly sits in. Mine is stripped (by original builder) and the bonnet nut will not tighten. Can the sprayer be installed on the left? Can the Delta 2256 be installed without the spray? I have a Delta 2256 with spray, but I don't want the spray installed. Can my plumber install the faucet without the spray? Thank you for your question. 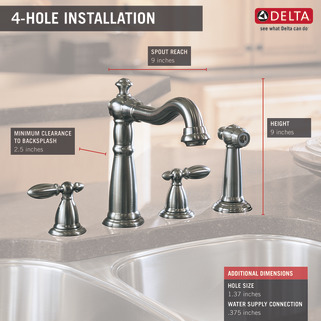 Delta Faucet model # 2256-RB-DST does not have to have the sprayer installed. There is a clip that can be used to cap off the sprayer connection.